Join Cheney for a guided mindfulness walk on beautiful Burnaby Mountain. ​Learn ways to reconnect with nature for building resilience to stress and boosting your immunity. We will be practicing simple and fun techniques from a variety of ancient wise traditions as well as delving into the modern practices of Shinrin Yoku (Forest Bathing), HeartMath®, Ecotherapy, and more! This is not a hike! Everyone welcome! 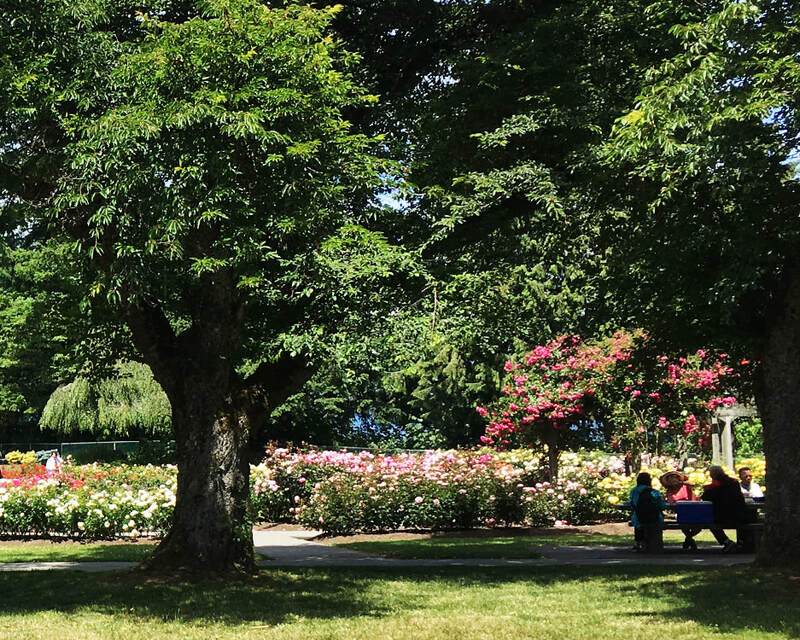 In each session, Cheney will guide the group through a variety of mindful, nature-based practices while strolling amongst roses, native plants, and a variety of trees, art installations and breathtaking views. Let us know that you'd like to attend and we'll connect with you by email. Her profound connection and understanding of the natural world is exciting, vibrant and contagious - leaving you feeling refreshed and rejuvenated.